It’s been a little while since I’ve done a blog post so I thought I’d update you on what’s been going on. This summer was strange, it rained a lot and was generally quite miserable. So now it’s September and we’re embracing autumn (my favourite season). We played board games, spent time together as a family and I read many books. 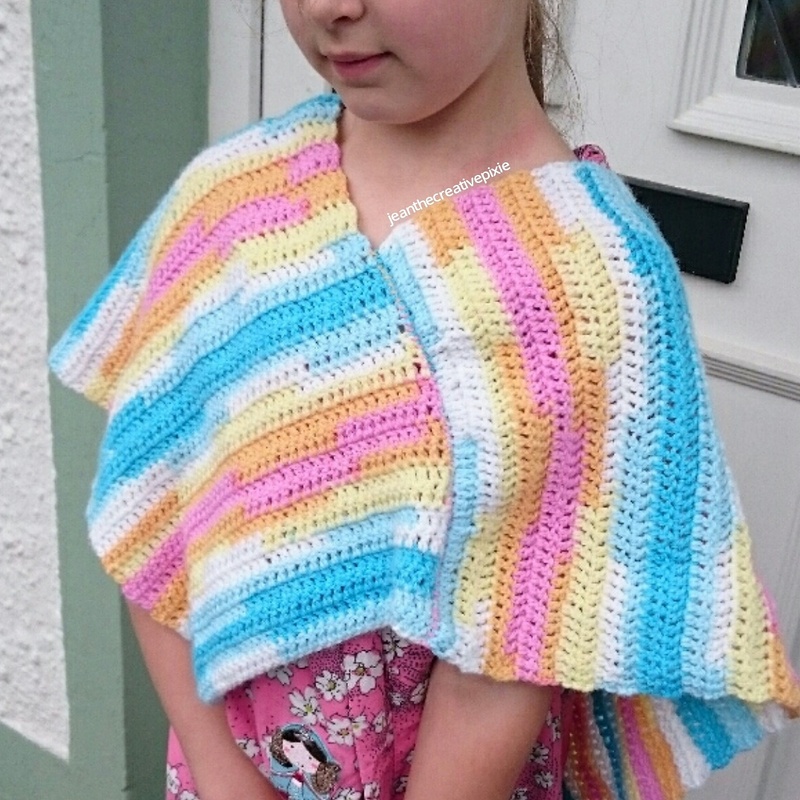 Back in June I crocheted my eldest daughter a poncho for her birthday. It’s a bit big but she’ll grow into it. 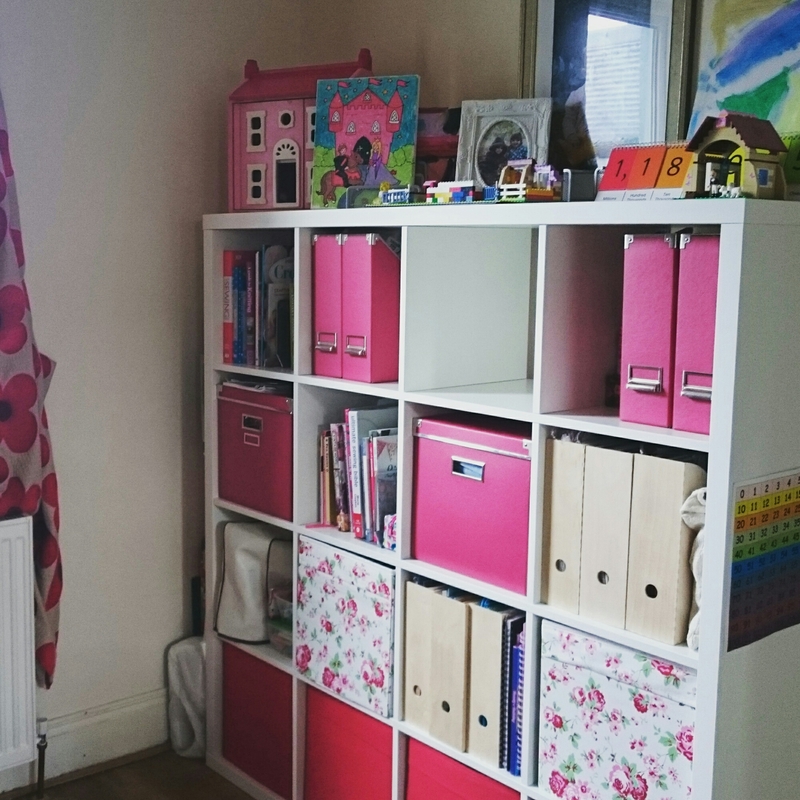 In August we decided to tackle out dump of a craft area at the other end of the living room. On a day off work we went to IKEA and bought some Kallax shelving. Here’s the finished result (I’ll not share the before photo… I’m too ashamed). 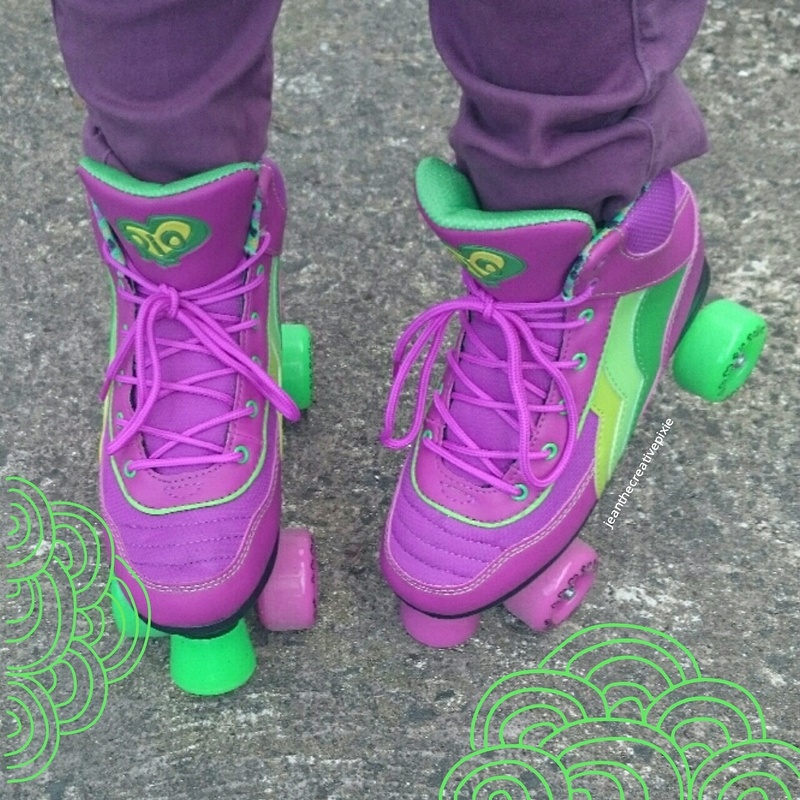 In September I’ve gone back to my childhood by getting a pair of rollerboots. My girls have had their own for a couple of months and it’s got to the stage where they want to skate further than our our back garden. I’ve been trying to lose weight and be healthier so hopefully these will spur me on to being more active. I’ve also been doing some more knitting and crochet which I will share with you soon. I think they look great especially since there’s no wadding (it’s the 7 fabric hexagons that give it its bulk) . I’m going to make some more with a Christmas themed fabric. That’s us more or less caught up. I’ll try not to leave it so long til next time. Ooh, roller boots take me back! Well, roller skates, the type that you buckled onto your feet – I used to love them. The storage looks great and very organised. Ikea are brilliant for this kind of thing, aren’t they? As a child I had metal roller skates that you had to wear over your shoes. 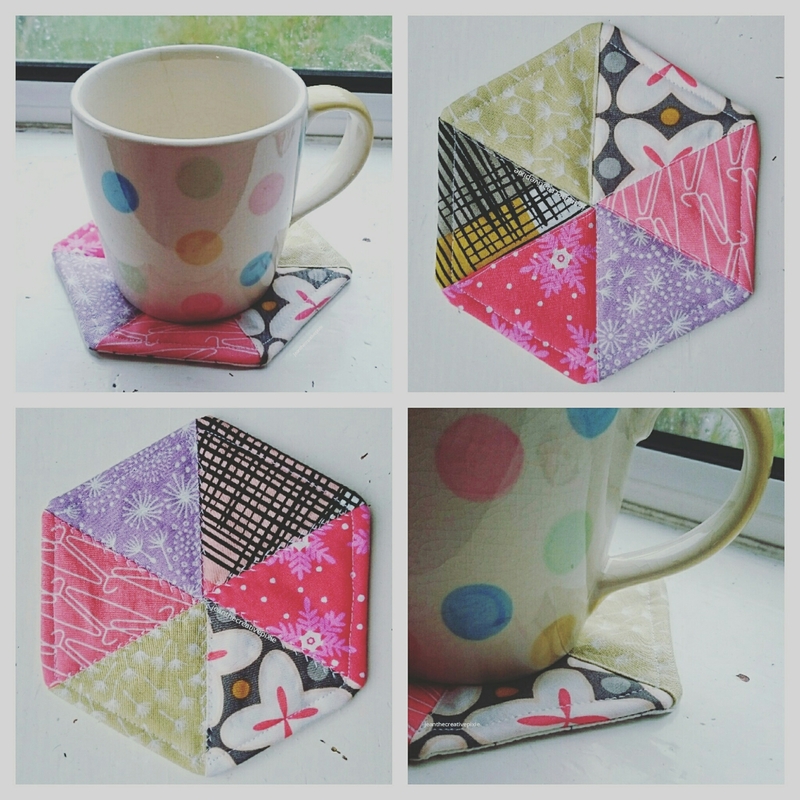 Love the coasters and especially the idea of Christmas ones!